Pioneers in the industry, we offer smart electric motor protection system and electric motor protection system from India. Smart Electric Motor Protection System is state of art safety system for electric motor, designed and programmed carefully to protect the Electric motor from FAILURE.We ensure the complete protection from electrical and mechanical disturbing factors or operational negligence, by introducing most innovative product We ensure the complete protection from electrical and mechanical disturbing factors or operational negligence, by introducing most innovative product Smart Electric Motor Protection System. It is found that all most all industries face the turmoil on account of sudden Electric Motor failure. Being part of the Industry for years, we are glad to present a solution name Smart Electric Motor Protection System. 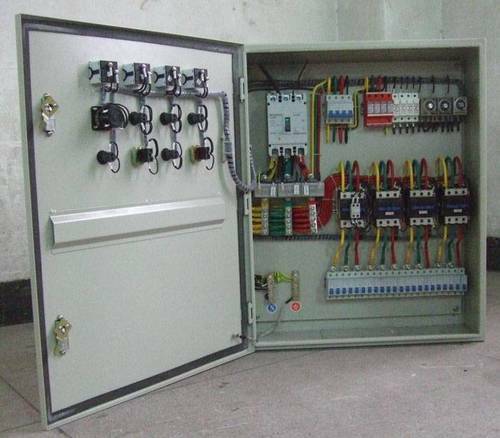 Electric Motor Protection System is state of art safety system for electric motor, designed and programmed carefully to protect the Electric motor from FAILURE.We ensure the complete protection from electrical and mechanical disturbing factors or operational negligence, by introducing most innovative product We ensure the complete protection from electrical and mechanical disturbing factors or operational negligence, by introducing most innovative product Electric Motor Protection System. Great Flexibility, with variety of parameter selection options. Continuous readings of all three phase R-Y-B’s Volt, Current values. Indicates Power parameters KVA, KVAH, KW, KW, HZ, & PF. Indicates fault with Alarm: Buzzer (audio signal), LED (Visual signal) and Text (Screen) message. Indicates total running time of motor in hours. By pass switch for emergency run. Selection choice of Mode, Auto/ Manual operation. Looking for “Smart Protection System”?